In the cavalcade of esports that can and will continue until the inevitable heat death of the universe, some events can get overlooked. Amidst the hubbub of last weekend’s games, a Golden Tee world championship was held in Las Vegas, with winner Mark Stenmark of Houston, TX earning $10,000 and his likeness in next year’s iteration. That $10,000 puts Stenmark ahead of golfers Robert Allenby, Stuart Appleby, Craig Barlow and Tiger Woods in 2017 prize earnings. Not shabby. 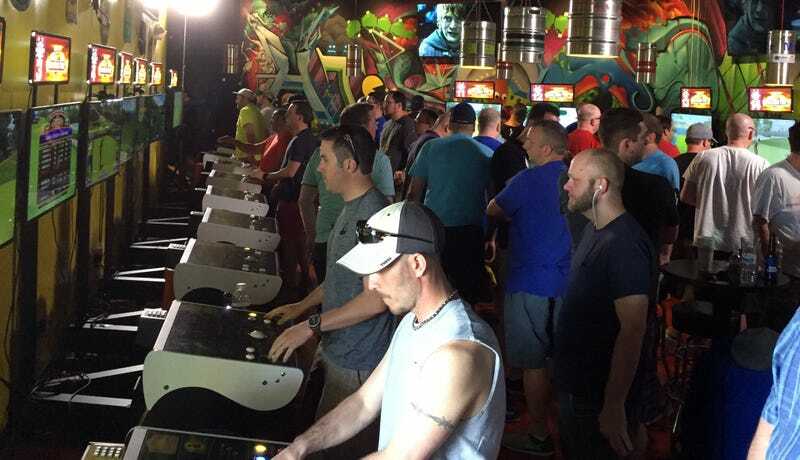 A dive bar staple that stands alongside such classics as Big Buck Hunter, Golden Tee’s competitive scene turned out in spades as 64 players competed this past weekend at the Hi Scores Bar Arcade in Las Vegas. In a climactic grand finals, Stenmark put up a -29 on the Juniper Falls course, beating up-and-comer Joe Massara for the title. You can catch the replay of the tournament below, or if you want to just watch the grand finals match between Stenmark and Massara, you can jump ahead to the 4:05:00 mark.